Few people understand the meaning of regulation. Just like your car, pianos need regular maintenance beyond just tuning. There are about 20 critical adjustments needed for each of the 88 keys, and they need to be done on a regular basis. 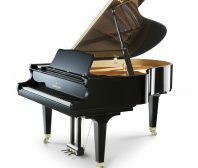 Watch the video below for a more detailed description of work that might be needed for your piano, and give us a call at Roger’s Piano for further discussion, or fill out the form here for more information about servicing your piano.